How doing things differently is enabling the Triodos crowdfunding platform to stand out in a crowded marketplace. When the Triodos crowdfunding platform was launched at the start of the year it was (and still is) a unique proposition. Triodos is the first and only UK bank to launch a crowdfunding platform, and one which provides direct investment opportunities spanning a range of social and environmental sectors with a requirement that every issuing organisation must be committed to delivering positive change. The Bank’s crowdfunding advisory team also provides advice and innovative solutions to support these organisations (often charities, social enterprises and community organisations) raise finance on the crowdfunding platform. In community energy for example Triodos has been able to reduce the pressure on community groups who need to raise capital by offering a unique and comprehensive financing solution. This has helped to take away the onus on community groups being solely responsible for their financing. By doing so, some of the projects have been able to start making positive changes to their communities sooner than they first envisaged to the benefit of all involved. 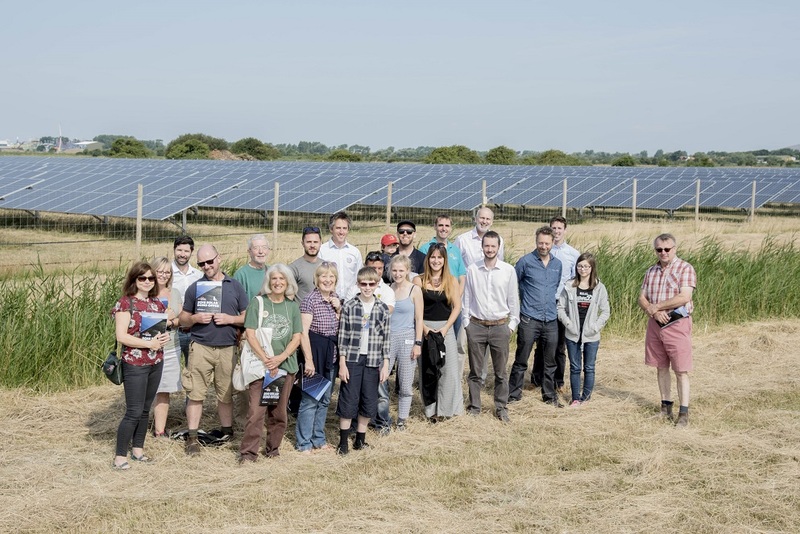 The crowdfunding platform has so far supported a number of community led projects, including the ongoing phased support of the solar bond offer for Burnham & Weston Energy CIC. At its outset the organisation originally borrowed over £11 million in bridging finance to buy its site in North Somerset, which facilitated it becoming one of the largest community solar projects in the UK. The 9.3MW solar farm has been generating electricity since June 2016 and produces the equivalent of the annual electricity consumption of around 2,000 homes. The business banking arm of Triodos was able to refinance £7.4 million of the bridging finance, more than halving the group’s original debt. However, this still left Burnham & Weston Energy CIC with the remaining £4 million of the short-term, high-cost facility to repay. The directors of Burnham and Weston Energy then worked with the Triodos crowdfunding team to plan a £4m community bond issue on the crowdfunding platform. However, £4 million is a large raise for crowdfunding – in fact, the largest community solar bond ever to be raised in the UK. Part refinancing of the £4 million was not an option as it would leave the financing structure unresolved, create uncertainty for investors and reduce the value of the community fund - the ultimate objective of the project. To help resolve this challenge, Triodos decided to underwrite part of the raise itself through a unique new product. TCRUF (Triodos Community Renewable Underwriting Fund) was created by the bank and committed to underwrite £1.35 million of the £4 million raise. Triodos also secured investment from Big Society Capital (BSC) of £1.3 million in the bonds before the launch. This meant the community only had to raise £1.35 million for the scheme to be fully refinanced at a lower cost so the community fund payments could start. The deal was closed on 12 September as the £4 million target was reached and community payments to local charities and a community foundation have already started and are already making an impact. Around £3 million of the net revenue generated over the life of the project is expected to be allocated to the community fund to support community projects and tackle fuel poverty in the local communities of Burnham and Highbridge and Weston-Super-Mare and the nearby rural parishes. With the successful £4m bond issue providing long-term financing for the Burnham & Weston Energy, Triodos can now continue to offer new investors the chance to invest in the project by refinancing both the BSC and TCRUF investments. The opportunity to invest in Burnham &Weston Energy CIC is still open, for more information please click here.